It’s that time of year again. Storm season. 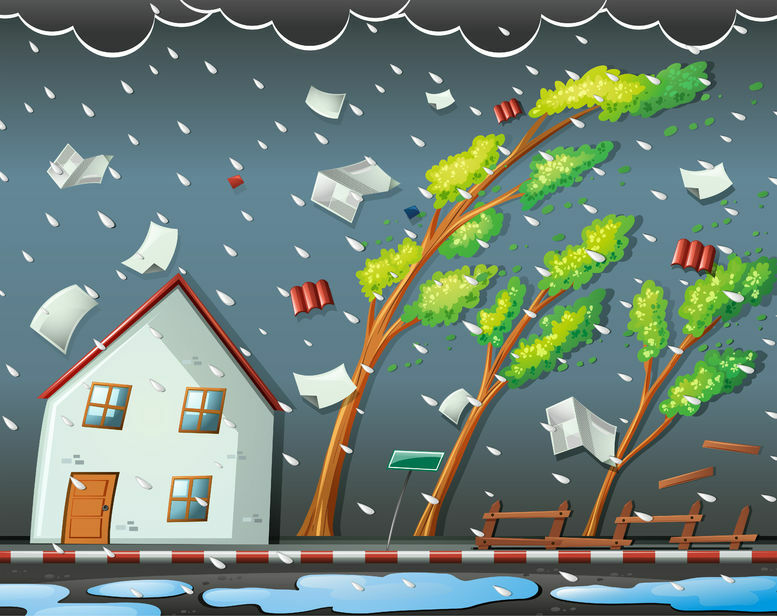 Now is the time to be sure you have a plan in place in case hail, a tornado or a hurricane damages your roof or other parts of your home. Don’t wait until you have flyers littering your doorstep and insistent salesmen banging on your door at all hours. Talk to your neighbors to see who they have used. Was the contractor dependable? Did he put everything in writing? Was he locally owned and operated? If there were problems, did he return in a timely manner to get them corrected? How long has the roofing contractor been in business? Is he insured? What is the company’s rating with the Better Business Bureau and Angie’s List? Do your research! Choose very carefully the people who will be working on your home. Home repairs are costly and are best done by an experienced professional. Many so-called contractors think that roofing, siding and other work is something anyone can do. The fact is, anyone can do it, but only an experienced professional can do the job right. You will probably pay more using an experienced professional, but you won’t have regrets when the work is completed. This may include having to lay out more cash to get problems fixed when the contractor won’t return your calls. As I said before, it’s best to have names and phone numbers in hand when disaster strikes. Have two or three of your top choices ready to call because contractors can get extremely busy if there’s a wide area of damage. Colony Roofing and Exteriors, LP has been in business since 1990. We are an accredited member of the Better Business Bureau with an A+ rating, and have received the Angie’s List Super Service Award every year since becoming a member. We are insured. We put all our bids in writing, unlike some who put just a dollar amount on the back of a business card. We answer all your questions and walk the job with you when it is completed. Give us a call and let us make you another 100% satisfied Colony Roofing & Exteriors customer!